Conductive keratoplasty (CK) is a non-laser refractive eye surgery designed to correct mild hyperopia and help people who are middle-aged and older reduce their need for reading glasses after they become presbyopic. Refractec Inc. markets the CK procedure under the trade name NearVision CK. NearVision CK uses low energy radio waves to reshape the cornea and restore near vision. No tissue is removed from the cornea during the procedure, which takes only a few minutes. During the CK procedure, your eye surgeon uses a hand-held instrument that contains a tiny probe (smaller than a human hair) to apply low-level, radio frequency (RF) energy to specific spots that form a circular pattern on the outer part of the cornea. Connective tissue within the cornea shrinks where the RF energy was applied, causing the circular band to act like a belt that "tightens" and steepens the cornea. This change in the curvature of the cornea affects the way light rays enter the eye to bring near vision back into focus. Numbing eye drops are applied prior to the procedure so there is little or no discomfort during NearVision CK. 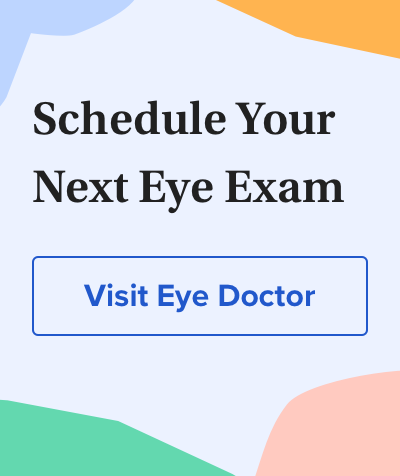 You might notice some mild eye discomfort after the drops wear off following the procedure, but this typically is mild and resolves on its own in a day or two. In conductive keratoplasty, low heat energy from radio frequency is applied through a probe to reshape your eye's surface. Most people who undergo conductive keratoplasty notice immediate improvement in their near vision after the procedure. But it usually takes a few weeks to reach the final level of correction so you can see clearly without reading glasses. , meaning that one eye is corrected for near vision while the other eye is stronger for distance vision. As may happen with monovision with contact lenses or a LASIK eye surgery procedure, your driving vision with this type of vision correction may be less sharp than it is when both eyes see clearly in the distance. So you may find a pair of eyeglasses for night driving useful after CK. While CK can improve near vision, the procedure doesn't cause as much blurring of distance vision as monovision with contact lenses or laser vision correction procedures such as LASIK. Studies indicate that the CK procedure may alter the cornea in such a way that a slight multifocal effect is achieved, creating "zones" through which the eye may be able to see at different distances. Prior to a conductive keratoplasty procedure, your eye doctor may recommend that you first wear a contact lens for near vision correction on one eye for a period of time to make sure you are able to adapt to monovision. But this is not a requirement. People who adapt well to a monovision contact lens fitting typically are able to tolerate a CK procedure. lens for near vision correction in front of your non-dominant eye. If you notice a significant blurring of your distance vision during this test with both eyes open, you may not be a good candidate for monovision with conductive keratoplasty. But if you see noticeably better up close and also see clearly across the room under these circumstances, you likely will adapt well to NearVision CK. You should not undergo the NearVision CK procedure if you wear a pacemaker for regulating your heartbeat. The radio frequency equipment may interfere with the proper operation of these electronic devices. Also, your eye doctor will advise you if you have any other conditions such as severe dry eyes that would eliminate you as a candidate for CK. Is Vision Correction From Conductive Keratoplasty Permanent? Even though CK effects are long-lasting, they are not permanent. Also, effects of CK can be temporary because your eyes will continue to change as presbyopia worsens. When you look at a reading glasses rack at the store, for example, you see +1.00 power readers for a 40-year-old, +2.00 power readers for a 50-year-old, +3.00 power readers for a 60-year-old and so on. Even though you eventually will need reading glasses again after CK, you still may retain good intermediate vision, enabling you to see a computer screen and view a cell phone without glasses. Great candidates for CK are those who want to delay the need for reading glasses. And when reading glasses are needed, these candidates still might appreciate having functional vision in the intermediate range. If you are considering NearVision CK, you first need to choose a refractive surgeon who is experienced with the procedure. Your doctor will examine your eyes thoroughly to determine if you are a good candidate. will be used to create a detailed map of the curvature of your cornea. The topographer doesn't touch your eye, and the measurement is similar to having a close-up photograph taken of your eye's surface. The corneal topography map will display the various steep and flat corneal curvatures that the surgeon must take into consideration while conducting the procedure. Conductive keratoplasty can be performed in the ophthalmologist's office. The surgeon will apply some anesthetic eye drops to your eyes and then use a small support device called a speculum to keep your eyelids open and prevent blinking. Using a rinse-away dye, the surgeon will imprint a treatment pattern on your cornea, showing where the radio frequency energy should be applied. A hand-held probe then is used to deliver the energy to a specific depth within the cornea at these spots. The entire procedure takes only a few minutes. NearVision CK is painless, but some people say they feel a slight pressure on the eye. If you are being treated for hyperopia, both eyes can be addressed during the same visit. In this case, the procedure involves virtually no down time. After surgery, you will be given a prescription for eye drops that help prevent infection and reduce inflammation. Some surgeons may ask you to wear special bandage contact lenses for a few days, to minimize discomfort. You can leave the doctor's office right after conductive keratoplasty, although someone else must drive you home. You may experience a foreign body sensation when the topical anesthetic wears off (about 20 to 30 minutes after the procedure), similar to the feeling of having a piece of dirt or debris in your eye. This sensation usually subsides within 24 hours. Although you typically will be able to function normally the day after surgery, you may be slightly nearsighted for a few weeks or even months. This may cause noticeable blurring of your distance vision. You also may experience mild vision fluctuation, and your eyes may be sensitive to bright light after surgery. If these side effects occur, they usually will clear up within a few weeks. For at least one week after surgery, you should avoid swimming, using a hot tub or participating in any other activities where water may splash into your eyes. When showering during this period, keep your eyes closed as much as possible, and direct the spray away from your face. Also, do not apply eye makeup for one week after the procedure, and avoid rubbing your eyes for at least two weeks.